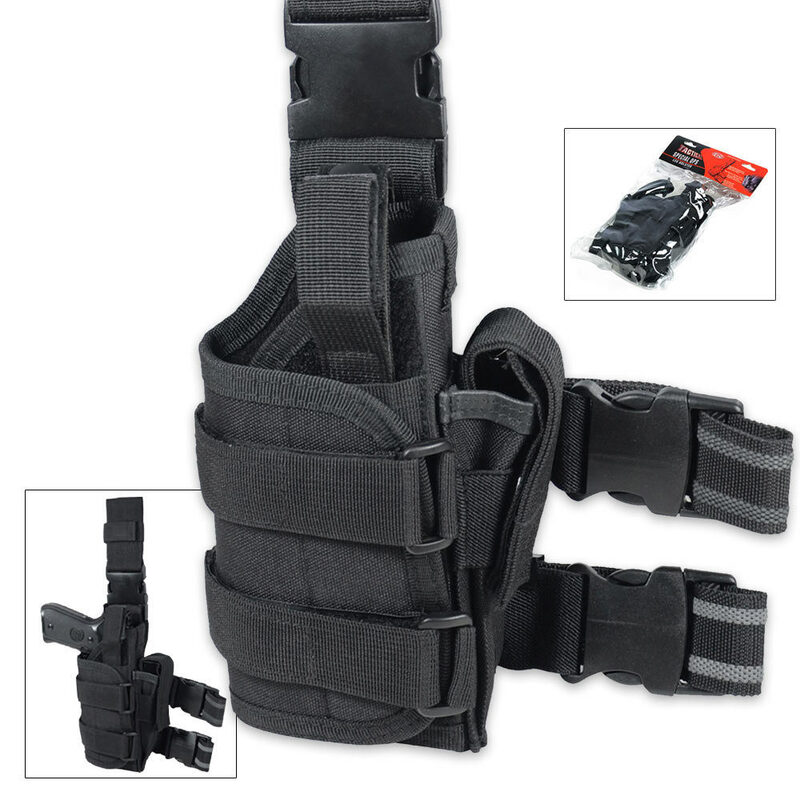 UTG Tactical Special Ops Leg Holster Black | BUDK.com - Knives & Swords At The Lowest Prices! 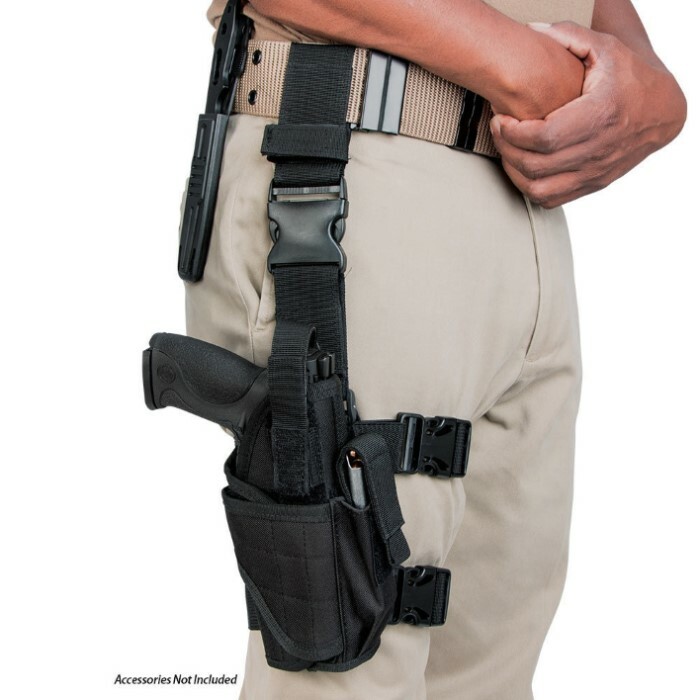 Strap your pistol, airsoft or paintball gun to your leg with this M48 OPS Tactical Tornado Leg Holster You will never have to stop and re-adjust it, it is that steady and secure! 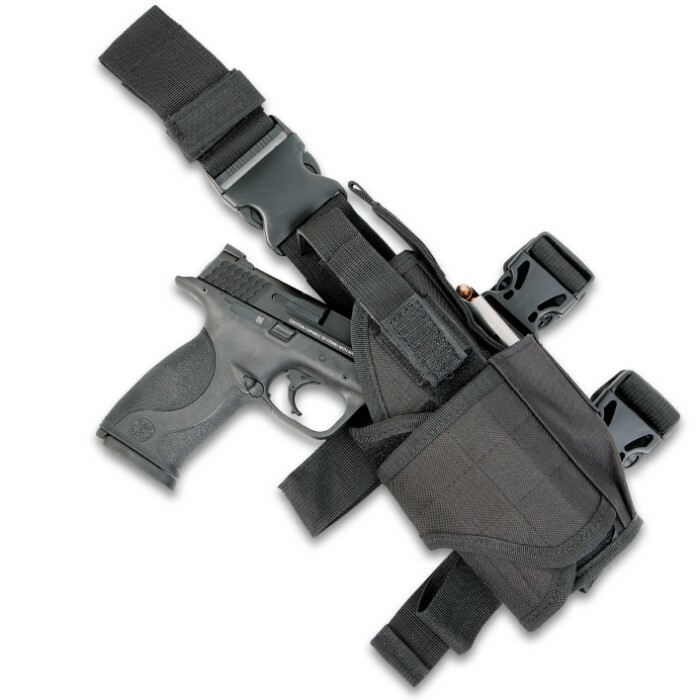 Constructed of black 600D oxford with ABS buckles and Velcro closures, this leg holster is high quality for hours of use. Absolutely love this, full adjustable. Fits my Taurus G2 with my laser/flashlight modifications. Can even fit my 12 gague in there if I wanted. I highly recommend this product. Completely worth the money.